Vincenzo Nibali won Tirreno-Adriatico on Tuesday in San Benedetto del Tronto, Italy, thanks to a powerful final time trial performance. He put nearly 20 seconds into Chris Horner, jumped from third overall and won the race. Roman Kreuziger fell from second to third overall. 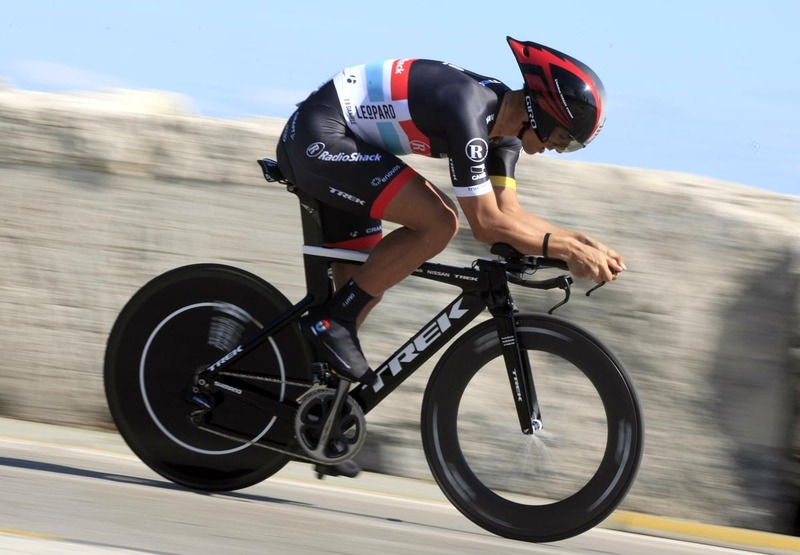 World time trial champion, Fabian Cancellara won the 9.3-kilometre stage up and down the Adriatic coast with a time of 10-36 minutes. His RadioShack-Nissan team-mate, Daniele Bennati placed second with 10-48 minutes. Svein Tuft clocked the early time to beat: 10-52 minutes. 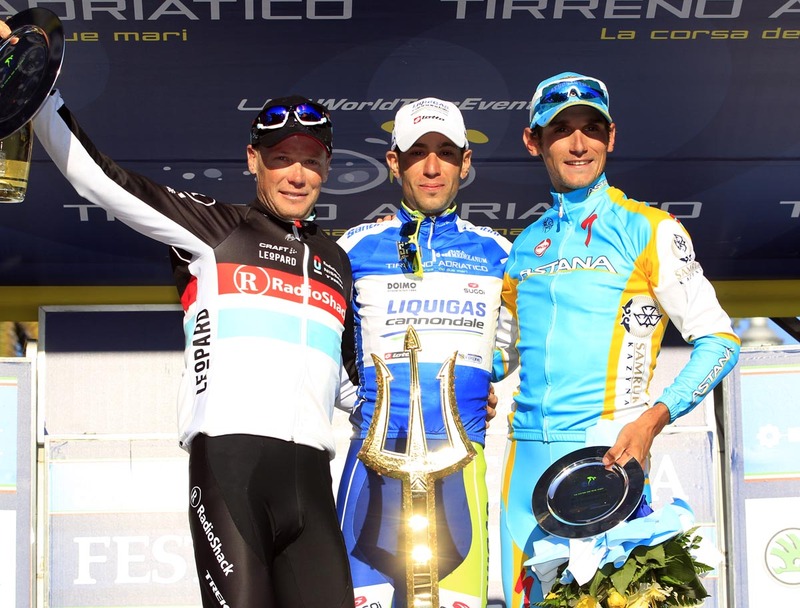 Bennati and then his team-mate, Cancellara overtook the Canadian of GreenEdge. Nibali was third from last off, but was clearly the strongest. ‘The Shark’ rode with grinta, desire to gain time as he had done in the last two days. He rode in 10 minutes, 57 seconds. Kreuziger could only manage 11-23 and Horner, who just couldn’t get it going, 11-16. In the last two days, Nibali gained time: 20 seconds on Prati di Tivo and six in bonuses yesterday in Offida. The Astana rider from the Czech Republic seemed to be having a hard time with the pressure. Yesterday, he was only five second back on Horner, but ended the race 26 seconds back on Nibali. Horner, 40 years old, led the race since Saturday in Chieti. He raced with a small group of favourites into the city’s centre with winner Peter Sagan. His lead slipped from 34 seconds to -14 seconds. RadioShack lacked mountain helpers. Most of the team will go on to race the classics and the riders are not as strong in the mountains as Horner, who won the Tour of the Basque country two years ago. 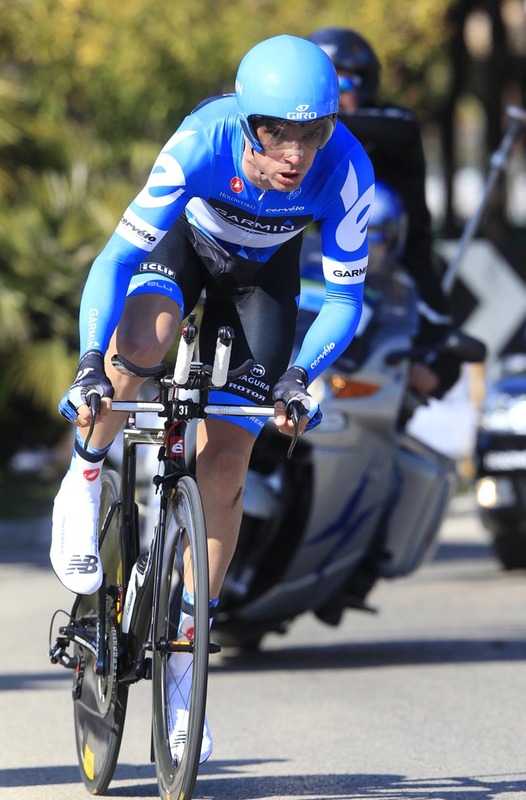 Tirreno-Adriatico was Horner’s first race since crashing in the eighth leg of the Tour de France. He suffered from concussion and broken nose, and later, a blood clot on his lung. “I am very happy to be on the podium of this race,” Horner said. “I knew it would be difficult, but it’s been a fantastic week. It answers some doubts I had about my embulism. This confirms that I can still race at the top level. Cancellara repeated his time trial win of last year on an almost identical course. Last year, he rode with a time of 10-33 minutes. He won Strade Bianche over a week ago and is one of the favourites with Mark Cavendish for Milan-San Remo on Saturday. Cavendish pulled out of Tirreno-Adriatico yesterday with many other sprinters to prepare for San Remo. Ian Stannard (Sky) placed seventh today with 10-54 minutes. 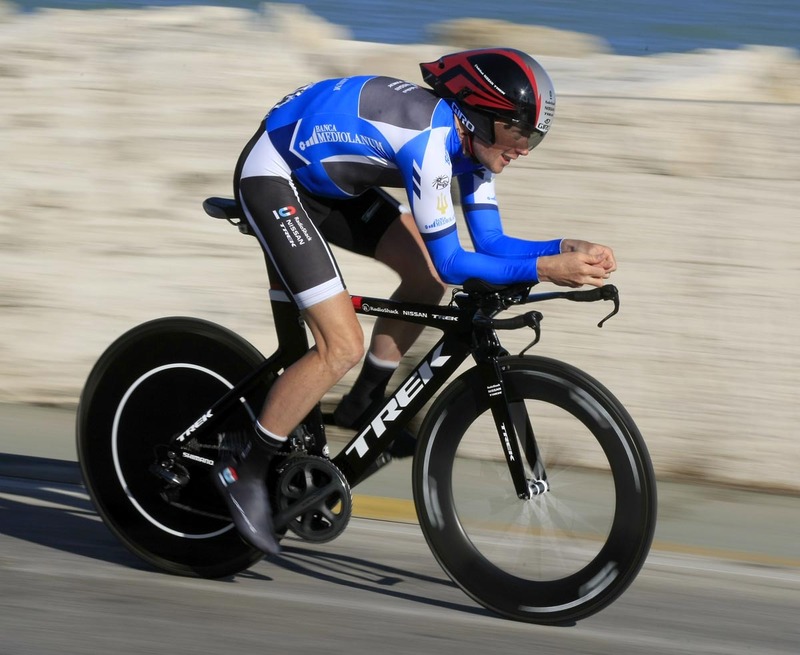 David Millar (Garmin-Barracuda) rode in 11-03, Jeremy Hunt (Sky) in 11-41. Stannard, Hunt and most Tirreno participates will now head towards Milan for cycling’s next big appointment.